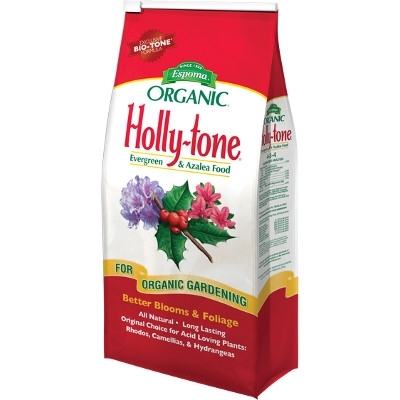 Formulated for acid-loving plants: Hollies, Azaleas, Dogwoods, Evergreens, and Rhododendrons. Used by professionals everywhere. Enhanced with Bio-tone beneficial microbes. Long-lasting, slow release. Won’t burn or leach away. Environmentally safe. No sludges, hazardous or toxic ingredients. Contains elemental sulfur. Available in 20 lb. bags.